It's 2006 and Isabella Swan has recently moved to Forks, Washington to live with her father Charlie. Alot has changed for Bella since her life in Pheonix. The Cullens move to Forks and they seem to be twice the size they once were, having joined up with the Langdon Coven. Carsile and Esme along with Gabriel and Katherine lead the 'family' of veggie vampires. With the families paired and completely in love how will Edward fair when he meets Isabella Swan, the girl whos blood he cannot resist. Bella is in a car accident having been hit by a van out of control in the icy parking lot and Edward blames himself for not getting to her fast enough. Once inside the hospital Edward must work harder than ever to resist her blood as he vows to change Bella to save her life. 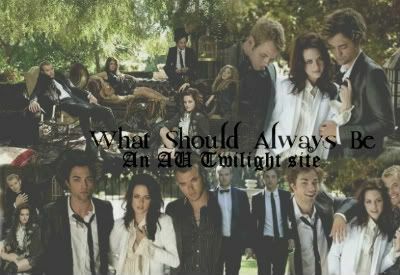 How will the Cullen and Langdon Clan cope with a new-born in their midst, threatening the harmony between the couples. The Volturi see this newly formed clan as a threat and the only question is when will they attack?